Copenhagen (AFP) - Denmark's Jewish community has filed a complaint over an imam accused of calling for the murder of Jews in a case sparking political opprobrium, it emerged Thursday. Imam Mundhir Abdallah preaches in the working class Copenhagen suburb of Norrebro at the Masjid Al-Faruq mosque, which media have previously linked to radical Islam. He stands accused of citing a hadith or koranic narrative on March 31 calling for Muslims to rise up against Jews. "Judgement Day will not come until the Muslims fight the Jews and kill them," begins Abdallah's address in footage on YouTube, according to a transcript of the original Arabic provided by US organisation the Middle East Media Research Institute (MEMRI). 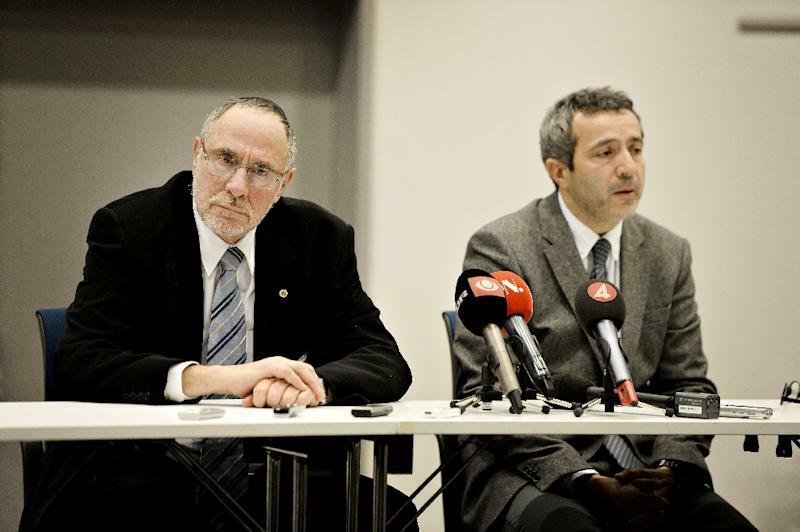 Dan Rosenberg Asmussen, the head of the Jewish community in Denmark, urged police to open an investigation into a possible case of incitement to racial hatred. "We fear that weak and easily-influenced persons could interpret this kind of preaching as an appeal to visit acts of violence or terror on Jews," Asmussen told the Politiken daily. Minister of immigration and integration, Inger Stojberg, described the imam's address as "horrible, anti-democratic and abominable". Neither the imam nor the Jewish community responded to AFP requests for comment. According to broadcaster DR, Omar al-Hussein, who was behind a series of shootings in Copenhagen in February 2015 which left two people dead, had visited the mosque the day before going on the rampage. The Dane of Palestinian origin had sworn allegiance to Islamic State and shot and killed one person at a cultural centre hosting a conference on freedom of expression, before killing a Jewish man outside a synagogue. Police later shot him dead after he fired on them in a third incident. Earlier this month Denmark published a list of six foreigners accused of preaching hatred -- five of them Muslim preachers and one Evangelical, banning them for at least two years. The list includes two Saudis, a Canadian, a Syrian, and two Americans, including pastor Terry Jones who burned copies of the Koran in 2011.